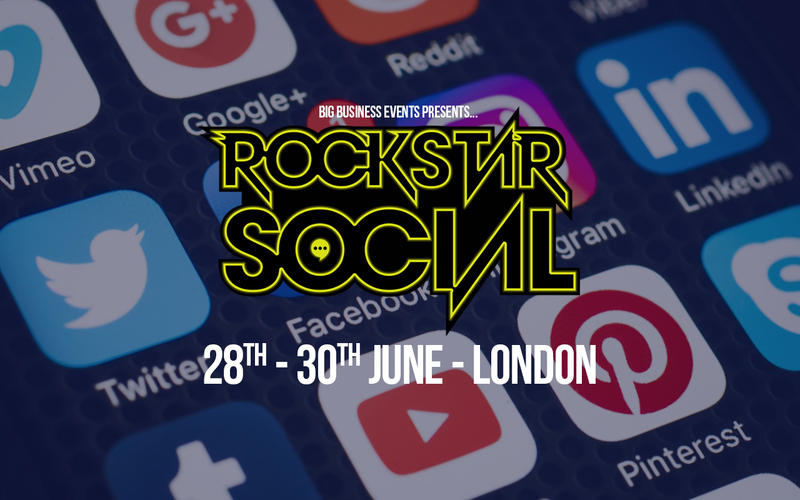 Rockstar Social is an in-depth, hands-on, Social Media masterclass, designed to help companies create their own leads and a money machine from social media. A two-day personal course limited in numbers to 20 people to give an intimate environment, based on implementation, not to only to show you how you can make money from social media, but to implement and starting doing it while you are there. The course is taken by Adam Stott the UK’s leading authority on social media marketing, who has sold over £50 Million in products via Social Media, in all different industries. Whatever your product and service, during this course you will have a personal strategy designed and implemented for you to get results, fast. A brief bit of information about what will be covered at this event. This course is like no other, with high interaction, implementation, as well as huge success stories. *This event is free for Big Business Events Gold members.